This year, I Am Stronger month will be in November to honour Bullying Awareness Week, which runs from November 12th – 17th. 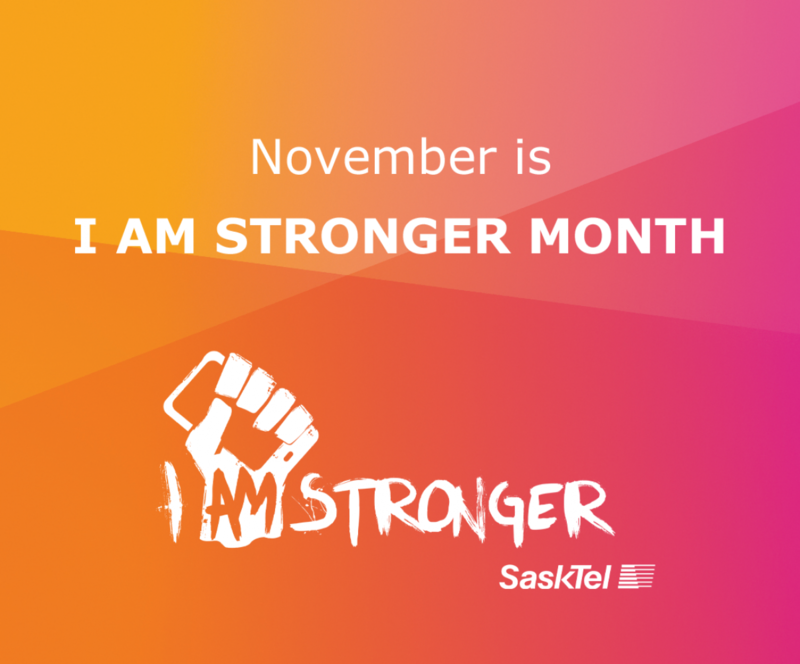 To celebrate I Am Stronger month and to bring awareness to the issue of bullying, I Am Stronger will be holding its third I Am Stronger rally at Greenall High School in Balgonie on November 14th. Greenall was chosen because they are a recent I Am Stronger grant recipient and they are passionate about spreading their message of having positive relationships, diversity, safety, kindness and inclusion within the school and community. The rally will feature guest speaker Katia Hildebrandt, a PhD candidate and instructor at the University of Regina. Hildebrandt specializes in digital citizenship and what it takes to practice safe responsible and legal use of technology. We look forward to continuing to inspire youth and encourage them to start their own kindness initiatives through our grant program.